Killer is Dead is the latest game from Grasshopper Manufacture and the mind of Suda 51. The game features the protagonist, Mondo Zappa, a professional "executioner" in a near-future world. The game is being created as a new chapter in the Suda 51 "assassin series", following in the footsteps of killer7 and the No More Heroes series. Suda, the executive director, together with executive producer, Yoshimi Yasuda sat down with Japanese gaming magazine, Weekly Famitsu to talk about this latest game. Yasuda, CEO of Kadokawa games, was approached by Suda in 2009 with a number of different ideas for Grasshopper's next game. He chose Killer is Dead because he himself was a fan of Suda's assassin series. Lollipop Chainsaw, which was in development at the time was more of a light-hearted "pop" game (no pun intended), from the "light-side" Suda. Recalls Suda, "Next I wanted something ‘dark'." With the protagonist Mondo, Suda had a very specific image in mind. "Mondo looks so frail you question whether he can actually kill anyone, but when it comes to his job, his aura completely changes." 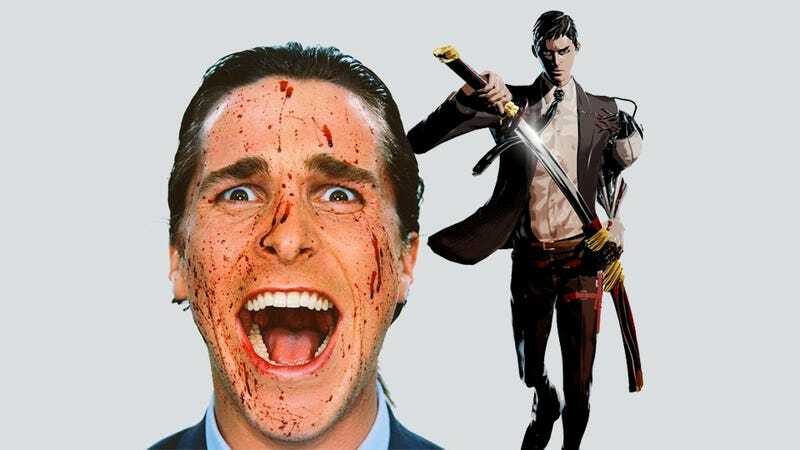 Explains Suda, "I had the insane duality of Christian Bale's character from American Psycho in mind. Mondo is written in the scenario as a man who has no illusions about his work as an executioner and shows little emotion." So, will there be a scene where Mondo puts an axe through Jared Leto's skull (please)? Killer is Dead is scheduled for release in Japan this Summer.